Grand Designs Live is the UK’s largest and most prestigious design and home show. Presented by TV star and top design guru Kevin McCloud, the show is based around the hugely popular Channel 4 show and offers visitors a great opportunity to be inspired by all the latest trends. Our full range of real clay brick slips will be on display along with some of our exciting new products. Our team of experts will be on hand throughout the 9 day show, helping with all your questions. 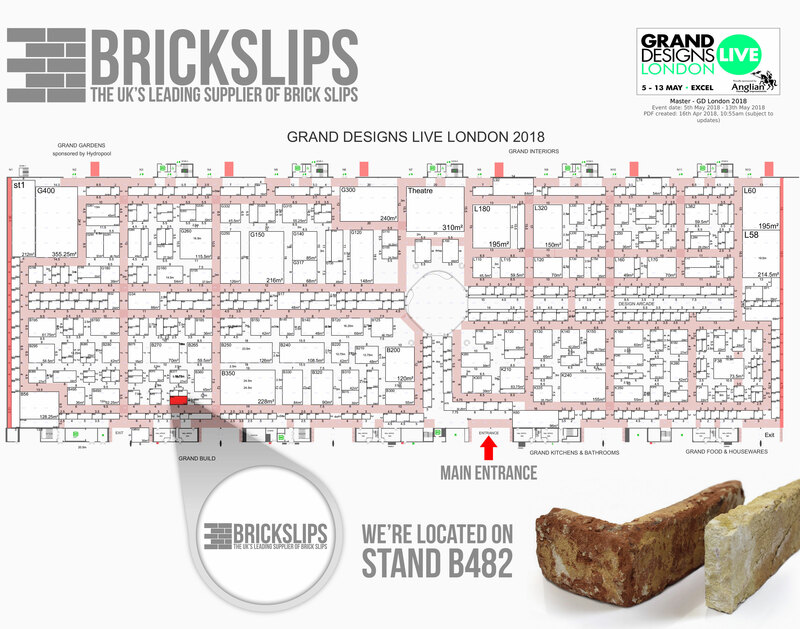 We will be offering an amazing 10% OFF the price of all our brick slip products for anyone that comes to visit us on our stand. With this offer you can save up to £10 off the door rate meaning each ticket will cost you just £10. Simply log on GRAND DESIGNS LIVE to book your tickets then enter the code GDLEXHIB together with your details.